EMPLOYERS should brace themselves for a further increase in business costs, going by two points that the Central Provident Fund (CPF) Advisory Panel made - both of which detail how employers can do more to boost workers' retirement savings. The first point was that the 13-member advisory panel "strongly supports" the government's commitment to raise the CPF contribution rates for older workers - and in particular, to equalise the contribution rates for those aged above 50-55 to the same levels as those of younger workers. This would mean a two percentage point rise in the overall CPF contribution rate for such older workers - from 35 per cent to 37 per cent. Half of the increase would be borne by employers and the other half by employees, raising the employer contribution rate from 16 per cent to 17 per cent, and the employee contribution rate from 19 per cent to 20 per cent. 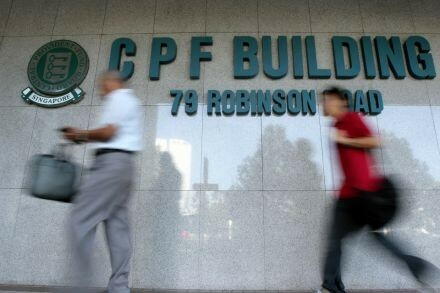 The second point was that it would be "timely" for the government to consider raising the CPF contribution salary ceiling, to keep pace with wage growth and enable more CPF members to accumulate higher levels of savings for retirement. At present, the CPF Ordinary Wage Ceiling - the maximum base from which CPF contributions are calculated - stands at S$5,000. While the panel did not suggest a new salary ceiling, the National Trades Union Congress (NTUC) had in January proposed that this be raised to between S$5,500 and S$6,000. The panel's two points would inevitably push up business costs further, at a time of rising wages and squeezed margins - a reality economists described as unpleasant but necessary. Business leaders, meanwhile, called on the government to assist with any further increases in costs. Said CIMB economist Song Seng Wun: "With our demographics, (the CPF Advisory Panel's points) are very sensible; still, the fact is that somebody will have to pay for it. We also can't run away from the fact that costs in Singapore are not going to come down, so the question then is to what extent these can be offset in the medium to long term through higher productivity?" While Association of Small and Medium Enterprises (Asme) president Kurt Wee acknowledged that "businesses are not going to die" from such tweaks to the CPF system, he stressed that "every little bit does add on" to costs, especially against the backdrop of an uncertain global economy. Added Victor Tay, chief operating officer of the Singapore Business Federation (SBF): "Employers are not here to exploit workers, but in the overall environment of escalating costs, can the government help to tide companies over the first few years by co-sharing any increment (in CPF contribution rates)? Or can it reduce foreign worker levies so that cost savings can then be channelled into CPF contributions?" Mizuho economist Vishnu Varathan suggested a phased and variable model instead, where CPF contribution rates are raised for all workers, but the salary ceiling is lowered for those above age 55. "This would not only help business costs, but it would also encourage firms to retain talent and knowledge. Those who are paid at the higher end of the scale would have accumulated enough so the lowered salary ceiling would not be a setback; those who earn lower wages would benefit by getting more in absolute terms," said Mr Varathan. Still, at least one business leader would have liked to see the CPF Advisory Panel go one step further, to suggest equalising contribution rates for all workers, regardless of their age. Said Singapore International Chamber of Commerce (SICC) chief executive Victor Mills: "I think it's nonsense that (CPF contribution rates) tail off the older you get. If workers are performing adequately to expectations, they should be paid the same amount for doing the same job." "In a country like ours with an ageing society, we should encourage everybody who is able and competent to keep working. Isn't that the point of lifelong learning? Surely the CPF and the employers should also walk the talk. Yes, business costs will be raised and it will be unpopular with companies, but the principle should be equality."